An article appeared in RIA Novosti describing the great interest to increase the number of priests serving with the Russian Military, expressed by both the Ministry of Defense, and most servicemen. 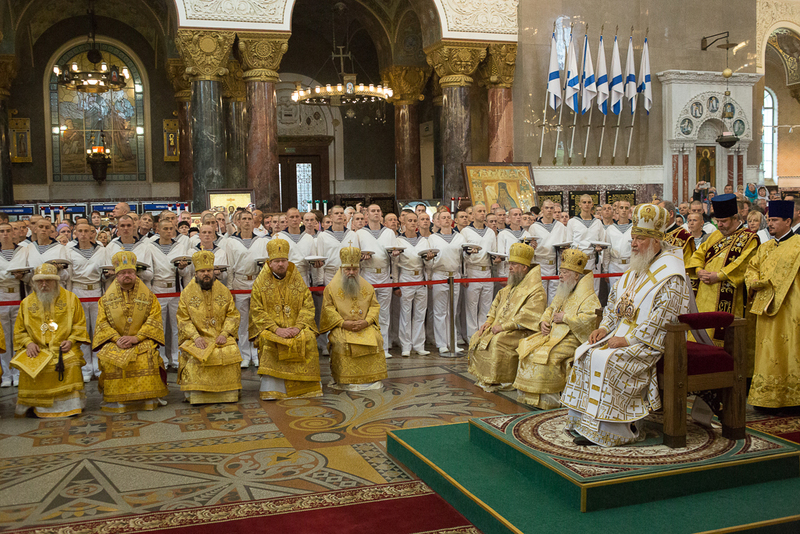 Whilst the article is not recent, it illustrates the broader relationship between the Russian Church and Military, which we have written about recently, a deep friendship which has existed for millennia. "On the Defense Ministry website, a survey was conducted: Do military personnel want the priests in their ranks?” The result was that the overwhelming majority wanted more chaplains to serve with them.” said Igor Agafonov, head of the department for church and servicemen cooperation of the Central Military District. During a gathering last year at a Chelyabinsk Military school, more than 30 clergymen, including His Eminence Metropolitan of Chelyabinsk and Zlatoust Nikodim, flew an airborne procession over the Chelyabinsk region relics of the patron saint of the military – the Great Martyr George the Victorious, according the report. His Holiness, Patriarch Kirill of Moscow and All the Russias last August, after visiting the naval base of the Northern Fleet in Severomorsk, stressed that the Church today attaches "very great importance to cooperation with the Armed Forces,". His Holiness says that the condition of servicemen’s souls is "an essential part of maintaining peace." "The is a peace for our country, but as our country is a nuclear power, it is also important for world peace." The status of your soul is key to your successful service with all the consequences for the life of the Fatherland, "said the His Holiness, addressing the sailors. His Holiness has reaffirmed was always known in the Russian Lands, when her people have need, when her soldiers have need, her church is always there for them. Thus it was, thus it is, and thus may it always be. 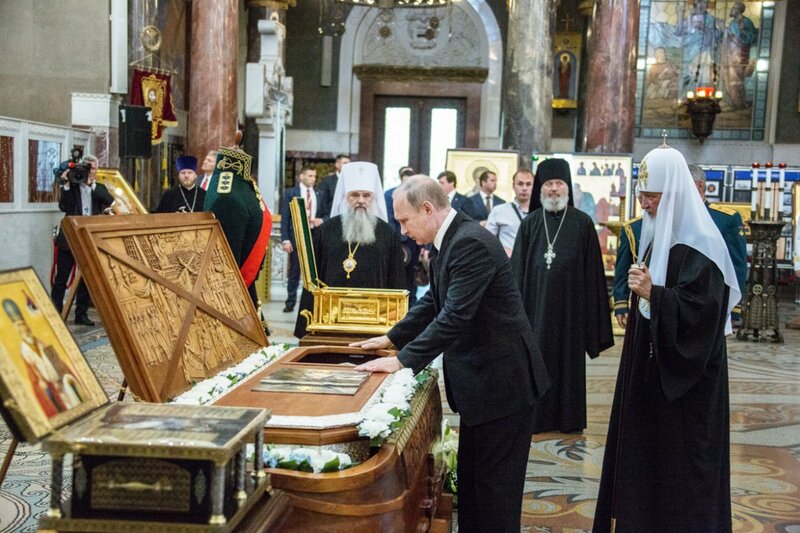 One of the most beautiful flowers which bloomed from this relationship is the construction of what may be one of the most beautiful churches in the world, Kronstadt Naval Cathedral, which President Putin recently visited during Navy Day celebrations. There is a stunning video of the celebrations that we highly recommend you check out, but you can also watch a sixty second quick view of the colossal cathedral by Russia Beyond the Headlines. It's not only a place of indescribable Byzantine beauty, but a living monument to the fact that Russia's Church is as much a part of her defense as the brave men and women who protect her.